There are many cures and methods to cure eggs. However, when targeting winter steelhead I like to keep mine simple. The process detailed below is designed for curing scraped eggs. Scraped eggs tend to be wet. They juice before cured because of the process to remove them from the skein. 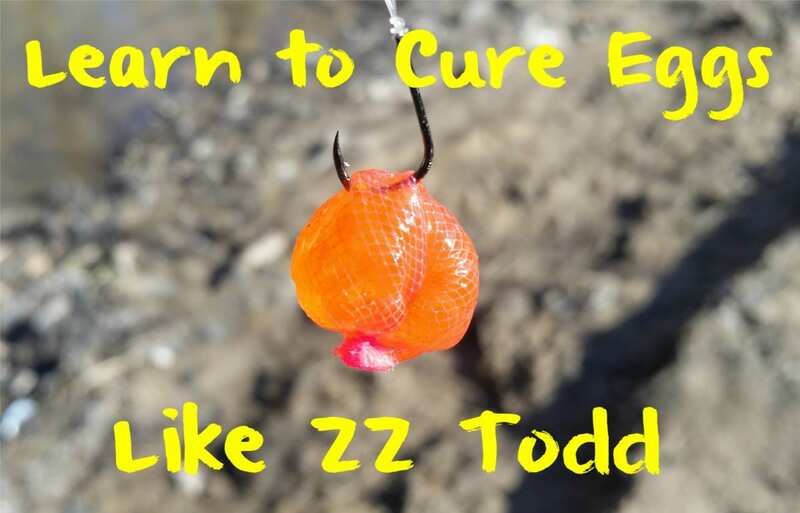 In fact, many anglers inquire about how to dry scraped eggs because they are too mushy and pop while tying bags. Fortunately, there are methods to make these eggs more durable without losing the juice. Regardless, it’s still time consuming, messy and even a little frustrating to tie because of how sticky they are. Nonetheless, this is exactly how you want them. Keeping these traits in the eggs enables them to milk better and establishes a bolder scent trail. 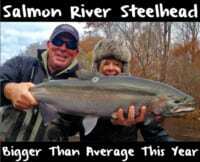 In the winter steelhead become more lethargic and slow down to conserve energy. Oftentimes you need good bait to motivate them to eat. Wet eggs milk a ton and leave a huge scent trail. A dryer egg looks good, but may not be enough to make them bite. I tend to use mostly Natural BorX O Fire to achieve my perfect egg. It’s important to start with good eggs. 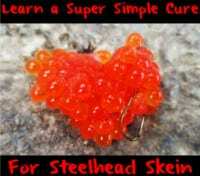 Always bleed your fish well to get the blood out of the skein. It also makes the meat taste better. Lay skeins on paper towels and roll them around. Rolling them will remove excess blood and other particles. Let them set for 20-30 minutes. This dries them out some and toughens the skein. There are a few different methods for scraping eggs. One is with a spoon. Then other is with a screen. Lay skeins out (egg side down) and slowly massage the eggs loose starting at the skinny side of the skein. Once they are all loose transfer them over to a clean paper towel. Roll the eggs around back and forth on the paper towel. At first, they stick to the paper towel. Keep rolling them around and then use a spoon to get them back into a pile and soon they will roll as a mass. Once they do it’s time to add the cure. Transfer your eggs to a bowl or container. You may notice some of the eggs seem a little deflated. They plump back up during the curing process. Add a dusting of BorX O Fire. The amount varies with how many eggs you have. Let the BorX O Fire sit on top for a minute until the eggs starts to juice. Then stir the cure and add another dusting. You don’t want to add too much cure because it can get the eggs too dry or mushy. Add enough to make sure all the eggs have cure. I let them sit for an hour at room temperature and stir the eggs every 15 minutes to prevent the top layer of eggs from hardening. After an hour I check to see if they are how I want them, which is tacky rather than watery. If necessary I’ll add a little more cure. I then put them in a Ziploc and store them in the fridge overnight to finish the process. They are now ready to fish. The eggs should be wet, tacky and sticky, but not completely swimming in juices. Editor’s Note: Todd Hatfield operates Trail Creek Guide Service. For more info on his walk in trips please visit https://www.facebook.com/trailcreekguideservice.